This quintessential three bedroom property is situated in the quiet market town of Beaconsfield in Buckinghamshire. 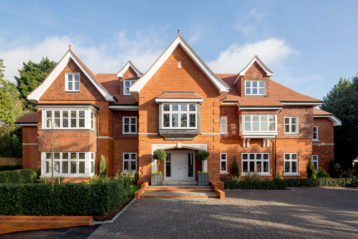 The Beechcrest apartment blends tradition with sophistication by having many features including a balcony, which provides an outlook on the landscaped communal grounds. 8026mm x 7039mm 26'4" x 23'1"